Significant and fast reductions in sea level unload the lithosphere, which can increase the production and eruption of magma. Here we calculate variations in surface load associated with the Messinian salinity crisis and compile the available time constraints for pan-Mediterranean magmatism. The now three-year-old Plate Climatology Theory is on the brink of total confirmation. 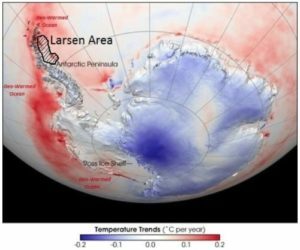 This is the result of two just-released and very telling Antarctic research studies. Combining the results of these two studies with the massive amounts of pre-existing data it is possible to show with very high certainty that melting of West Antarctic glaciers is directly related to bedrock heat flow and chemically charged heated fluid flow from the 5,000-mile-long West Antarctic Rift System (see Figure 1). NASA’s Secret Plan to Save Earth From Super-Volcanoes… Seriously? 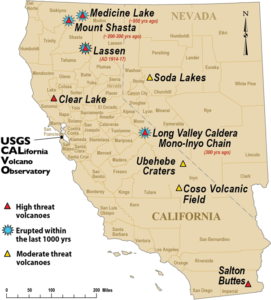 If “the supervolcano threat is substantially greater than the asteroid or comet threat,” does this mean we can stop fretting about Gorebal Warming and the Sixth Mass Extinction? Is NASA really moving on to actual threats to the planet? Well, not threats to the planet… The planet has handled supervolcanoes, asteroids and comets quite well over its 4.5 billion year lifespan. While we obsess about climate change and debate if we live in the Anthropocene, we prepare poorly or not at all for natural forces like volcanoes that can level cities. This is folly we can no longer afford. Experts recommend a simple first step to better protect ourselves. Let’s start listening, or nature will teach us an expensive lesson. Finally, we’ve been told for years that volcanic eruptions cause COOLING … although what cooling is visible in the historical record is generally local, small, and short-lasting. But now, they say eruptions cause Northern Hemisphere winter warming? What’s up with that? In the Bay of Naples, Europe’s most notorious giant is showing signs of reawakening from its long slumber. Campi Flegrei, a name that aptly translates as “burning fields”, is a supervolcano. It consists of a vast and complex network of underground chambers that formed hundreds of thousands of years ago, stretching from the outskirts of Naples to underneath the Mediterranean Sea. About half a million people live in Campi Flegrei’s seven-mile-long caldera, which was formed by vast eruptions 200,000, 39,000, 35,000 and 12,000 years ago. Volcanic eruptions such as Mount St. Helens’ in 1980 show the explosiveness of magma moving through the Earth’s crust. Now geologists are excited about what uplifted granite bodies such as Yosemite’s El Capitan say about magma that freezes before it can erupt on the surface. Using a technique called ‘seismic noise interferometry’ combined with geophysical measurements, the researchers measured the energy moving through a volcano. They found that there is a good correlation between the speed at which the energy travelled and the amount of bulging and shrinking observed in the rock. The technique could be used to predict more accurately when a volcano will erupt. Their results are reported in the journal Science Advances.